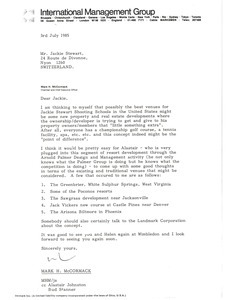 Concerning the best venues for the Jackie Stewart Shooting Schools. 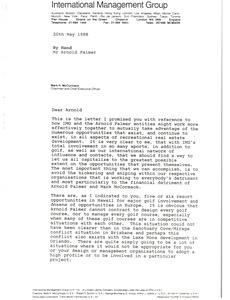 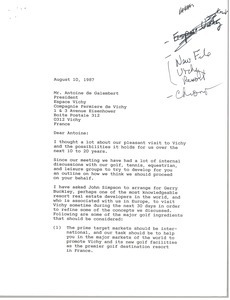 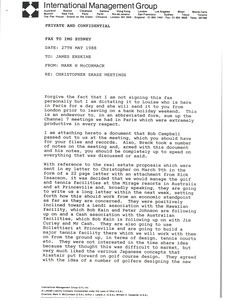 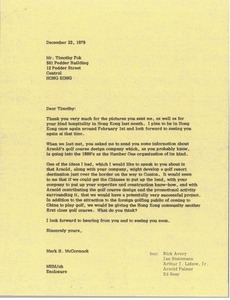 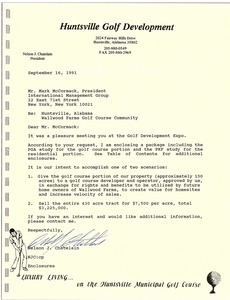 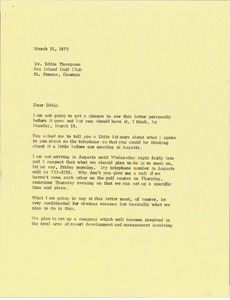 Concerning opportunities for IMG and Arnold Palmer entities to work more effectively together for mutual benefit, and avoiding the "bickering and sniping within our respective organizations that is working to everybody's detriment and most particularly to the financial detriment of Arnold Palmer and Mark McCormack. 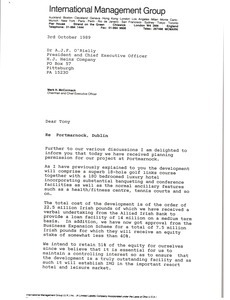 Concerning the receipt of planning permission for the golf course, tennis courts, and luxury hotel in Portmarnock, Dublin. 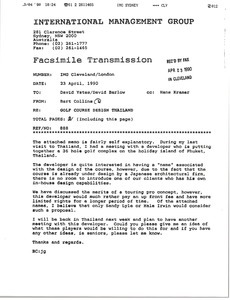 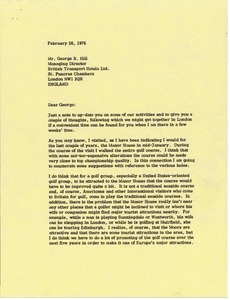 Thailand - Concerning a golf course being designed for the island of Phuket, Thailand.